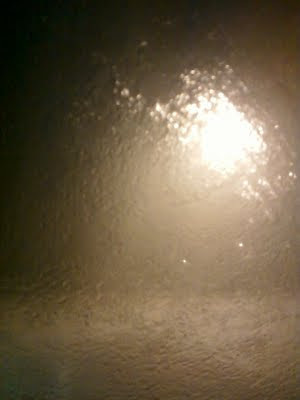 Cold . . . Snow . . . Hot . . . Hotter . . . Dry . . . Wow welcome to the Midwestern Desert . . . Normal Temps . . . Couple Days of Rain. 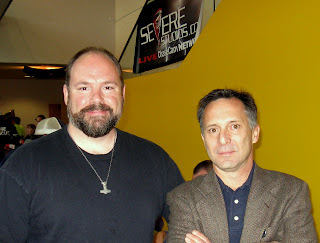 I got to meet Tim Samaras from Storm Chasers at the Douglas CO. 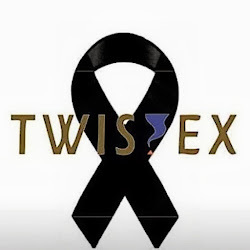 Severe Weather Symposium in Lawrence. 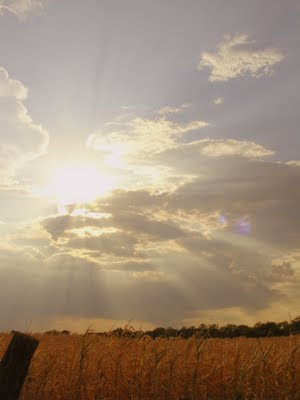 (April 6, 2011) Large fires in Arizona and New Mexico giving spectacular sunsets in the Midwest. (April 8, 2011) Large hail storm out near Rose Hill. 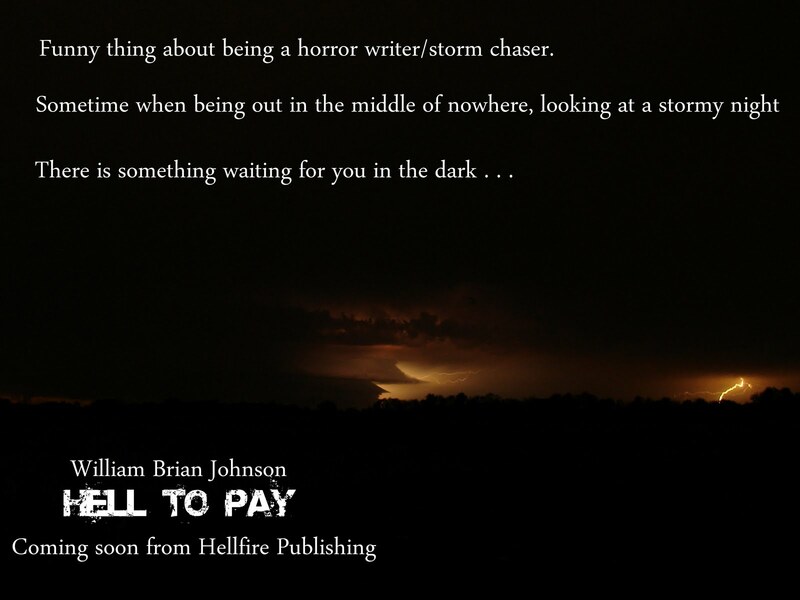 Stopped on my way in, watched a few moments, and told my chase partner, no. Missed baseball sized hail and lots of dents. Unfortunately got caught up in hail on the way home and added a couple new dents. 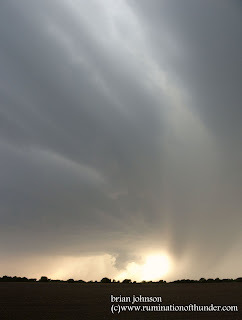 (May 22, 2011) This was part of a storm system responsible for the Emporia and Reading Kansas tornados. We gave up early on the storms due to loss of updraft. 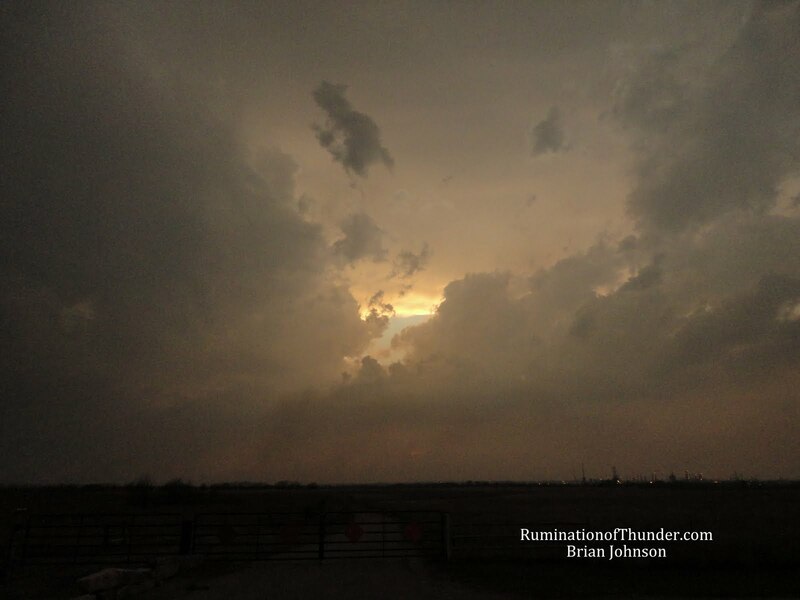 The system moved NE and created a couple tornados that hit Emporia at dusk and moved to Reading, KS after. (June 6, 2011) They moved Riverfest to June to avoid the severe weather of May. Then a wall cloud forms north of the city and closes Riverfest down. Really the only good chase of the season for me this year, until it suddenly turned SW and came waaaaay to close to the house. 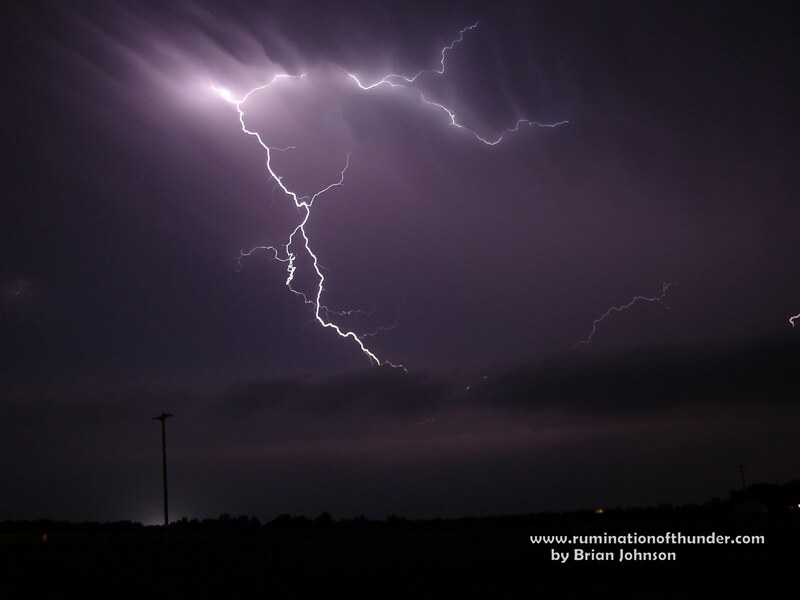 (June 16, 2011) Two great nights of electrical storms and me standing out in a field with a high tripod daring the thunder god. 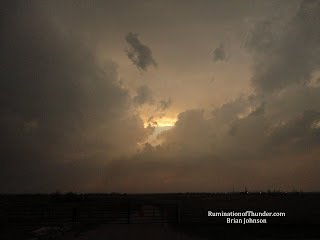 (June 20, 2011) A dryline comes through with storms firing up north, here just wind and mammatus clouds. (July 31, 2011) Hot and dry. Mostly 100+ days since May. Watched a lot of rain come close and just keep moving by. Most corn in the area (including the one in the shot) was toast. 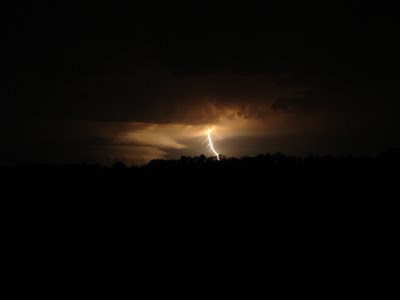 (August 3, 2011) I was caught unaware by a huge storm that came into town. Love the fact that friends text me before warnings hit the phone. Memorable quote of the night: "Blue lightning. That's not good is it." 70ish mph winds and torrential downpours. I could see power lines popping all around, luckily this was straight line winds and nothing tornadic. Same storm split our last tree in the front yard. Never again Bradford Pear. Now need to do some landscaping. Luckily, the POS doesn't take damage, it creates character. (August 9, 2011) A large group of storms brought much needed rain to Kansas but also brought strong damaging winds. 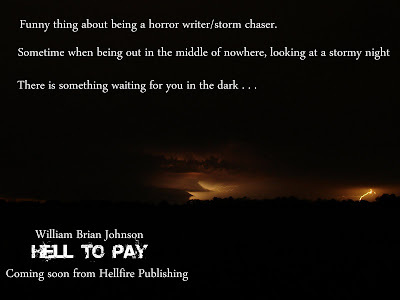 The storm had a very unique shape to it and I took one of my favorite shots and turned it into promotion for my new novel coming out. Ah, October. Suddenly the 100+ temps decided to go far far away, and you could walk outside without wanting to incinerate. Watched the Harvest Moon coming up between the neighbor's tree. Absolutely nothing to do with the weather. Just love the Sedgwick Co. Zoo. 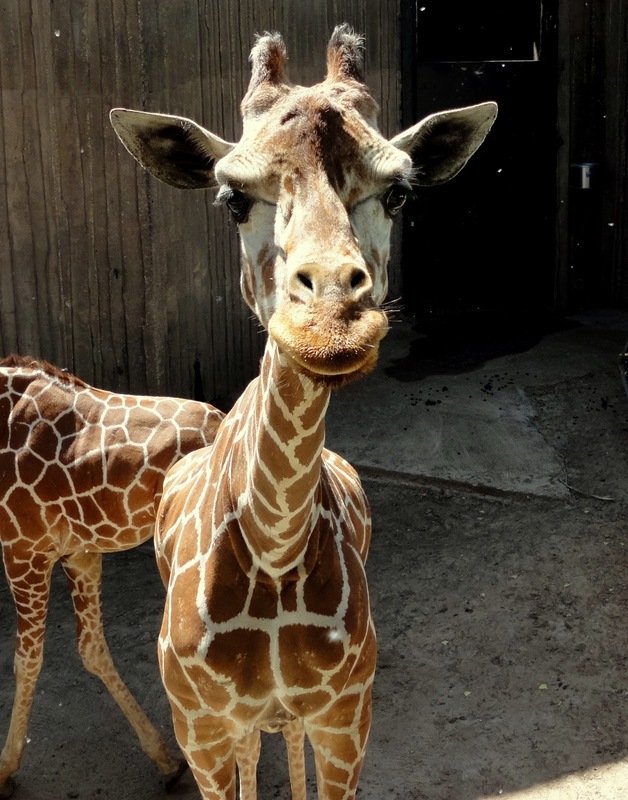 You can feed the giraffes and stand in awe as their Gene Simmon's-like tongue takes the leaves from your hands. December. 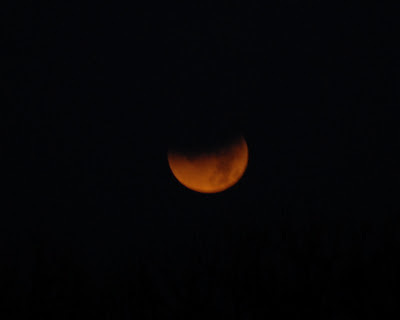 Still dry, but a lunar eclipse at moonset provided some good photos. The terrible map of tornados for 2011. Drove through Joplin in the middle of the night and passed the FEMA village. Although I bemoan a slow season here in Sedgwick CO. it could have been much much worse. A special thanks to Studio's United for letting me do two Final Friday's in Wichita. I want to show more photography in the future and hope that the new year brings a new camera.